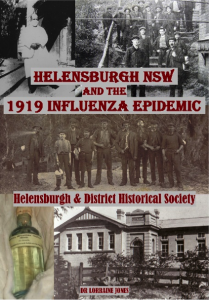 In June 1919 the worldwide Pneumonic Influenza Epidemic (Spanish Flu) arrived in Helensburgh NSW. The local GP, Dr Frederick Cox, attended to hundreds of patients. Flu victims were quarantined in their homes or at the school, and at least ten died. What did the fatalities have in common, and why didn’t Dr Cox succumb to the epidemic?